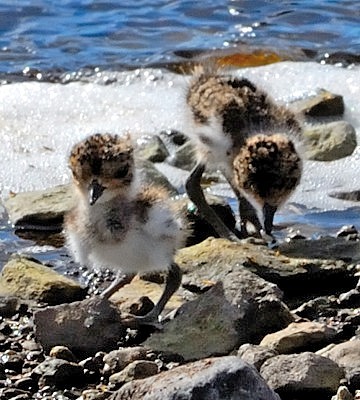 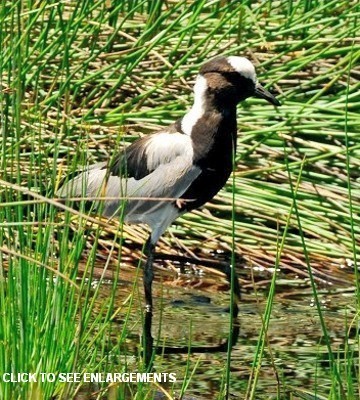 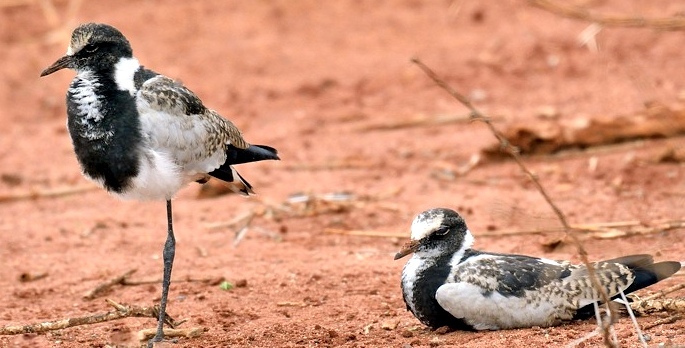 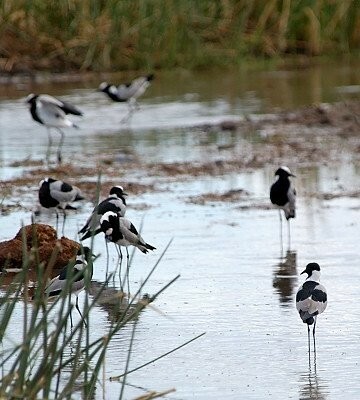 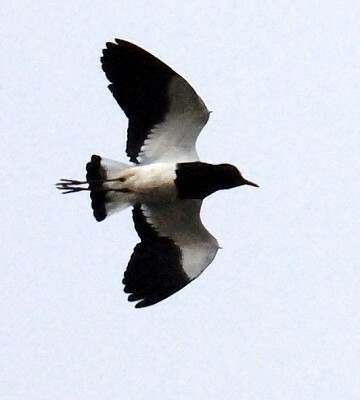 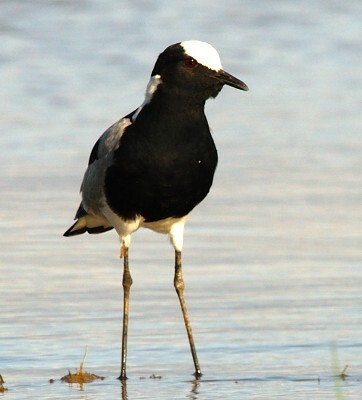 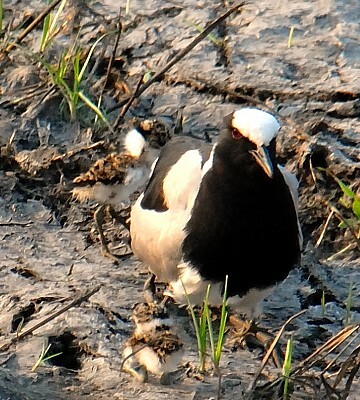 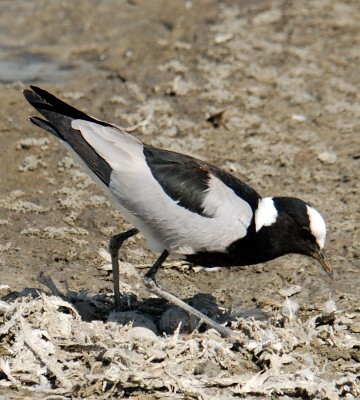 The blacksmith lapwing (so-called because of the ringing call, click audio recordings to hear) is seen in wetlands and adjacent grasslands, sometimes in small flocks. 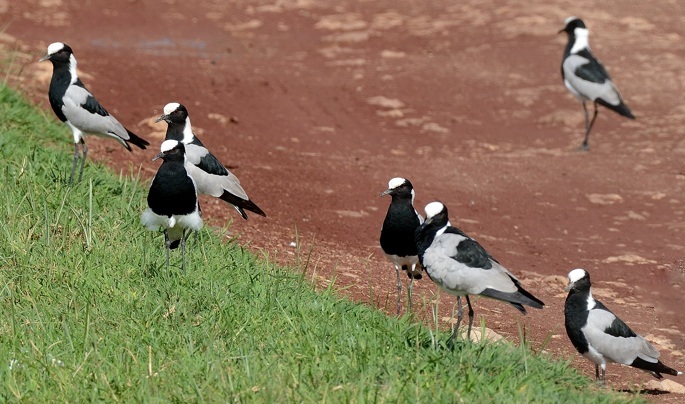 The 7th row photo of three adults (Tarangire, 10-15) is courtesy of Michael Oates. 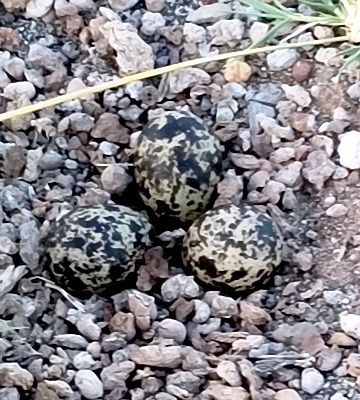 The right 6th row nest photo (Lake Eyasi, 4-16) is courtesy of Chris Schmeling. 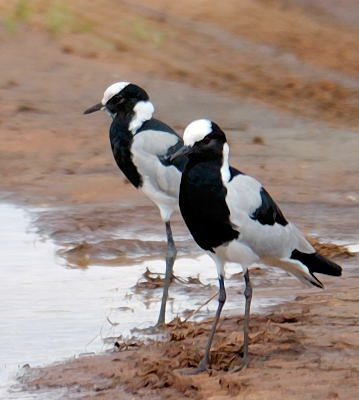 The other photos were taken in Silale swamp, Ngorongoro Crater, Katavi and Tarangire. 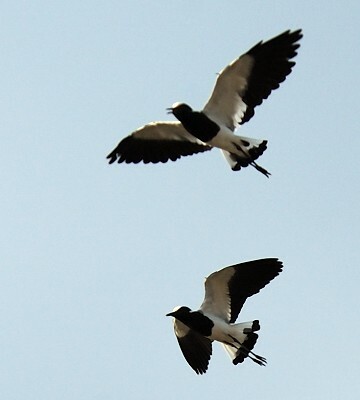 Click the photo of the immature above (Ndutu, 5-07) to see 16 enlargements, including nests, eggs, more chicks, juveniles, immatures, and flight.